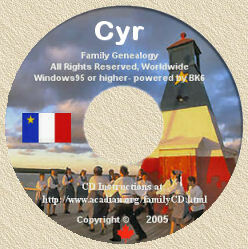 All you want to know about the Acadian Culture! If you are ever in the area of Bouctouche, New Brunswick, "Le Pays de la Sagouine" is an absolute MUST-SEE... plan on spending a full day/evening! Join the daily guided tour for an English presentation and you will learn about the Acadian culture through its history, past and present! Accompanied by a fiddler, you will even learn how to play the spoons! For the sweet tooth, youll get to taste one of their famous Acadian desserts! Daily presentations are offered to our English-speaking visitors throughout the season. Hours: 10:00 am and 2:30 pm. Hours may vary. Come and live the Acadian joie de vivre! Access to Flea Island is via the curved boardwalk (As seen in the above picture). It is curved for three reasons: to withstand the force of the tides and ice, to reduce the risk of vertigo and for aesthetic purposes. At the center of L'Île-aux-Puces (Flea Island) are the public grounds where the musical performances, as well as the theatrical performances, are held. At one end of the open-air theatre, you can see one of our House Bands (Les Turluteux) performing. The theatrical performances are held on the stage at the other end of the public grounds. The "Bootleggeux à Mariaagelas", where you can get alcoholic or non-alcoholic refreshments, is adjacent to the open-air theatre. A nice walk across the footbridge will take you to lÎle-aux-Puces. You can then visit La Tchuisine des Mathilda, where you will learn to cook a variety of Acadian meals. A visit at the house of La Sagouine is essential as is a visit to the house of La Sainte where youll meet Les Chicaneuses who have many tales to tell. Continuing on, La Boucanerie will make you discover a variety of fishing trades and you can even taste smoked herring. Make your way to the Phare à Gapi, a place full of legends! 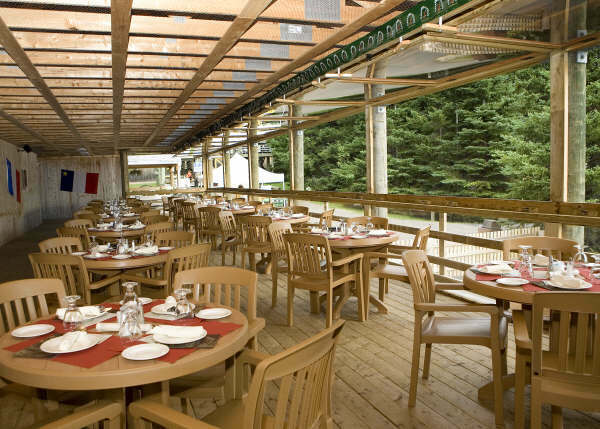 Music lovers can learn to play a variety of instruments in La cabane des Tchuillères. Dont forget to visit the artists working in the Apent des artisses. A stop at the Shack des clairvoyants can reveal many mysteries of the future if youre brave enough to face the cards... And stop for a relaxing drink at our very own Bootleggeux while listening to monologues and music. The little ones can enjoy a visit at La Cabane à Sullivan where there is fun and games all day. (Bouctouche, October 23, 2008) - The Ordre du Bon Temps, the restaurant and theatre at the Pays de la Sagouine, in Bouctouche, South-East New Brunswick, were completely destroyed by a fire, whose origin has yet to be determined. The fire started last night (Wednesday, October 22, 2008) around 11 p.m. Firefighters arrived quickly on the scene, but the flames had already taken over the building. The restaurant is a complete loss. Weve lost our theatre as well as most of the technical equipment, sets, and costumes that have been used in all of the plays since the opening of the Pays de la Sagouine 16 years ago. The Bouctouche region and all of New Brunswick have lost a historic monument. Several historical events took place on that stage, like when the world leaders of 52 countries met at the Sommet de la Francophonie in 1999, recalled Paul LeBlanc, executive director of the Pays de la Sagouine. This restaurant and theatre, with a capacity of 250 people, offered dinner theatre, among which the ever famous Christmas dinner theatre, whose rehearsals started a week ago. Unfortunately, we will have to cancel the show. It was going to be on stage in November and December. Obviously, were very sad about what happened because we know how the Christmas dinner theatre at the Pays de la Sagouine had become a tradition for many families, work colleagues, and friends everywhere. We will inform the public shortly about reimbursements, explained Paul Leblanc. Acadias greatest actors and artists have all set foot on the Ordre du bon Temps stage. Today, all are dismayed by this news. The cause of the fire has not yet been disclosed. More details will be released as they are made available. The Pays de la Sagouine celebrates Christmas after all! regional artists will meet at the Capitol to celebrate with a special show. Enthusiasm for this project was immediate, confirms the Artistic Director for Le Pays de la Sagouine, Daniel Castonguay, As soon as we approached the actors and artists, there was no hesitation on their part, it was an instantaneous yes! The Christmas production will showcase the ever cherished Citrouille, Mariaagélas, Noume, Peigne, and Michel-Archange. Borlico, Le Pays de la Sagouines house band, will accompany the actors who will sing traditional Christmas songs. Hert LeBlanc, Monique Poirier, Carole Daigle, Armand Dionne, Donat (Gapi), and Émé Lacroix will also be on stage. In addition, Le Pays de la Sagouine promises a few surprises throughout the evening. Viola Leger in "La Sagouine"